Peniche is a coastal town an hour's drive north of Lisbon. 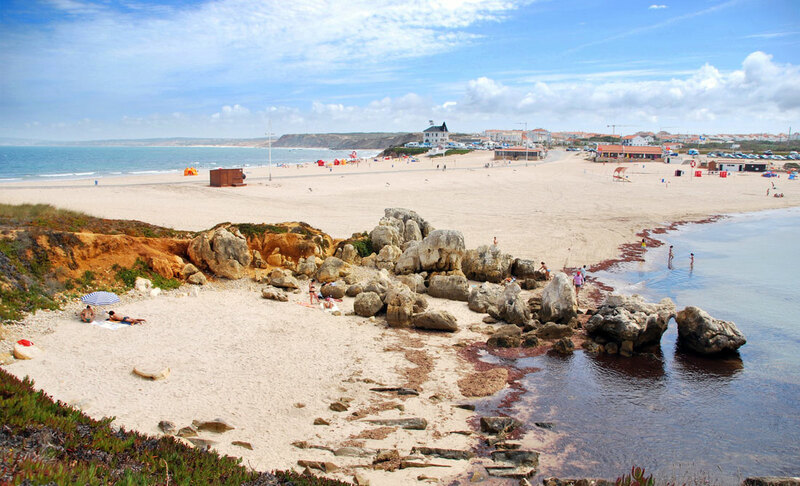 Peniche was an island until the sixteenth century, when silt created a narrow isthmus. It has been a busy fishing port since ancient times and retains a historical harbour and harbour walls. The old, walled part of town (which is in stark contrast to the burgeoning development all around it) is dominated by an impressive sixteenth century Fortaleza. 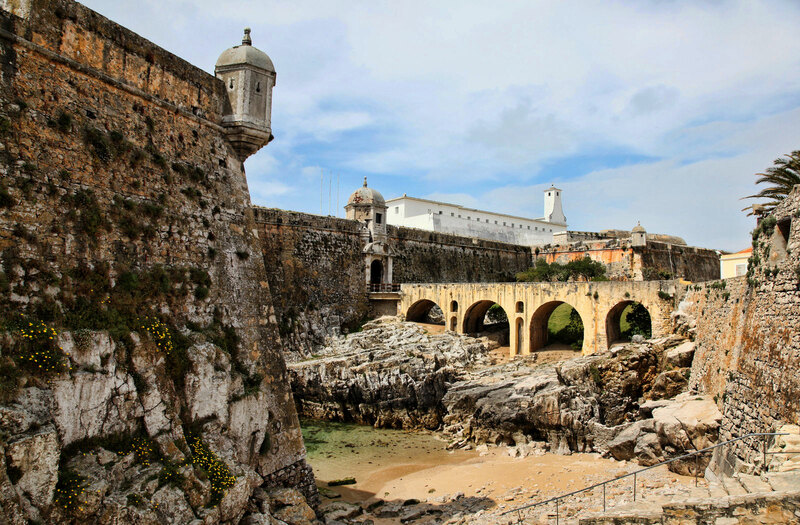 Peniche's fortress has been through numerous incarnations and was still being used by the military in the 1970s when it was converted into a temporary home for refugees from the newly-independent African colonies. Today the Fortaleza houses the municipal museum and a 'nucleo-resistencia' containing arefacts from the period during the nineteen fifties when the Fortaleza was used by the dictator Salazar as a prison for political dissidents. The Baroque Misericordia Church, in the main square, has a painted ceiling depicting scenes from the New Testament. Peniche is dominated by the sea. The Berlengas Islands, a short ferry ride from the harbour (regular crossings in Summer) are a haven for thousands of sea birds and represent one of the world's first protected areas. Only a handful of fishermen are allowed to live on the Berlengas islands, although the seventeenth century São Jão Baptista Fort has been converted into a basic hostel. The surrounding weird and wonderful rock formations and spectacular grottoes can be explored in small boats that pass through an incredible sea tunnel called Furado Grande. Peniche is perhaps best-known these days for it's world-class beaches and waves, which attract thousands of travelling surfers every year. A peninsula that juts out into the Atlantic, with north and south-facing beaches, Peniche attracts consistent swells and offers something for everyone, from the notorious Supertubos, Europe's answer to Pipeline in Hawaii, to the rugged Cabo Carvoeira to the west. A proliferation of surf schools have grown up in and around Peniche, which is now a destination on the ASP world tour.